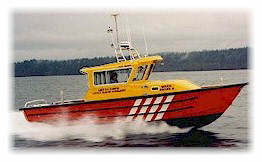 The Coast Guard Auxiliary (CGA) includes over 1200 volunteers throughout the coastal waters of British Columbia who offer their time and commitment to actively providing search and rescue services. Recently called "the unsung heroes in our communities" by past Fisheries and Oceans minister Fred Mifflin, the Auxiliarists have been a part of the Search and Rescue network for 18 years. Welcome to the CCG Pacific Region homepage. The Canadian Coast Guard, Pacific Region is responsible for providing marine safety for over 27,000 km of coastline throughout Yukon Territory and British Columbia. 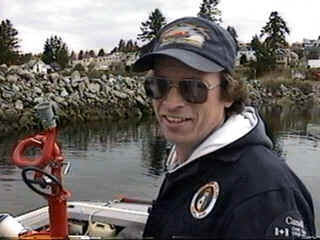 The Coast Guard provides a wide variety of work including maintaining aids to navigation, search and rescue, fisheries patrol and research duties as well as marine pollution monitoring and clean-up, channel sounding, scientific studies and other projects that are part of the Coast Guard's role. Your photos transferred to CD-ROM (done by HurCo Ent. ), which includes some photo album programs (trial versions) for full screen viewing, Coast Guard Axiliary members can also get a few of the training programs (Collision Regulations) on the CD. Can custom make the CDs to fit personal or company preferences. Pictures can be used to---> e-mail, make calendars, print and frame, etc. Can also make and put video clips onto CD. You have never seen your pictures look so great!! !